CSRHub is pleased to join our friends at EcoPlum in honoring Green Moms. As previously seen at EcoPlum. 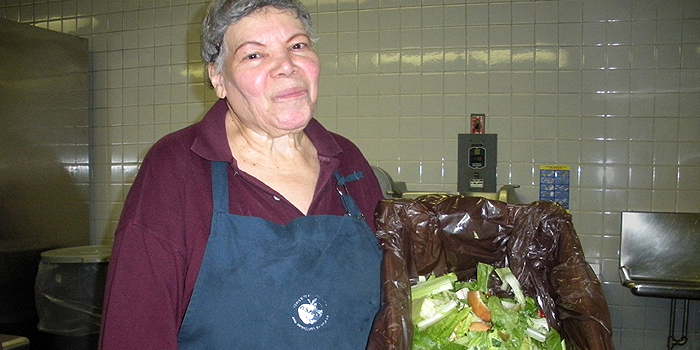 If someone ever told you that a handful of people can’t make a difference, he or she hasn’t met the five hardworking moms who started the Food and Tray Waste Composting Pilot in District 3 schools on the Upper West Side of New York City. What began with the moms’ concern for making their own children’s schools more environmentally sustainable has evolved into a citywide effort to reduce waste and educate future generations. The Pilot team, comprised of green moms from four different schools, Lisa Maller, Jennifer Prescott, Emily Fano,Laura Sametz, Pamela French (pictured left), were each a leader of the Green Teams in their children’s schools. They were able to convince their parent-teacher associations (PTAs) to raise funds to replace the cafeterias’ standard foam trays with compostable sugar cane trays. Styrofoam, or polystyrene foam, a petroleum-based plastic, is non-biodegradable, non-sustainable and non-recyclable; it’s also a big air pollutant and a possible human carcinogen. When used with food, especially with hot or acidic items, polystyrene can leach into the food and affect the reproductive system. Side effects include headaches and fatigue. But despite the moms’ efforts, the compostable trays were still being thrown in the garbage. That’s when they decided to find a way to compost the trays. They explored their options: to ask the city to collect the organic waste (food and trays); to get a grant to pay for private collection; or to form a partnership with the local Whole Foods market and piggyback on their organics collection. While they brainstormed, they were fortunate to meet Laura Rosenshine, a composting entrepreneur. Laura was advising IESI, a private waste solutions company, on how to expand their organics business. Together with Laura’s help, the moms negotiated to have the trays collected and composted for four months free. As long as they were going to collect and compost the trays, IESI agreed to pick up all of the schools’ discarded food waste too. This included fruits, vegetables, meat, dairy, bones, pasta, sandwiches, and any other type of food the kids and the kitchen staff threw out. The composting pilot program began in February 2012 in eight schools (4 buildings) and ran through the end of the school year. For the first few weeks of the pilot, the moms spent time in their respective school cafeterias guiding the students in the new program. 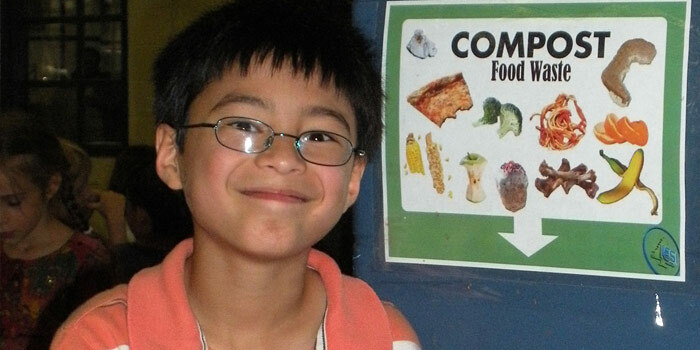 They took it upon themselves to teach the students which foods they could compost by making easy-to-read signs. The kids enthusiastically embraced the opportunity. It was also a great way to re-educate them about the existing blue bucket metal/glass/plastics recycling program. For one week each month during the pilot, the moms, along with student helpers, weighed the garbage, compost and recyclables, to gather data and see if the program was successful. And the waste reduction was significant. Together the four pilot buildings reduced their cafeteria garbage from 54 bags a day to just 8 bags; an 85 percent reduction by volume. An average of more than 400 pounds of food waste and 1,900 foam trays were diverted from the waste stream daily. The program has saved both garbage from going to landfills, and money for the city. The moms estimate that annually, just the eight schools alone would save $3,000 on garbage bags and more than $3,000 in garbage disposal fees. Multiply that by 1,200 public school buildings citywide, and the potential savings are major. "When we started the pilot, we expected it would ultimately be successful by the end of the fourth month, but we never dreamed that it would become so obvious so quickly how significant the impact would be,” said green mom Lisa Maller. In addition to the schools reducing cafeteria waste by 85 percent, one of the biggest payoffs for the moms has been the kids’ enthusiasm for the composting program and their willingness to help the environment. On the second day of the program, a third grade boy brought in vegetable scraps from home to add to the collection bins. The student came up to one of the moms and asked if he could throw the scraps into the new food waste bin. Knowing they could be composted, he simply felt bad throwing them away in the garbage at home. Now, that is making an impact. The green moms’ own children have also taken their knowledge home. "Being so involved in educating the kids in the school cafeterias, we all are now so much more aware of the food waste we produce in our own kitchens, “said Maller. “ We can't ever throw out even the leafy top to a strawberry anymore without thinking—this can be turned into compost. If we forget, for sure our kids remind us." And the impact of the green moms’ efforts doesn’t stop there. In September 2012, after recognizing the success of the District 3 pilot, the NYC Department of Sanitation agreed to take over collection of the trays and food waste in these four buildings. It expanded the collection to 21 buildings on the Upper West Side (Manhattan), and 20 in Brooklyn. Recently, in his last State of the City address, Mayor Bloomberg announced that the school food waste composting program will continue to expand next school year, ultimately being citywide. His goal is to increase the city’s 15 percent* recycling rate, eliminate food waste, and save the city some money. New York City spends around $86* to send one ton of trash to out-of-state landfills, or more than $300 million annually to ship 12,000* tons of trash each day. And the costs go up almost every year. 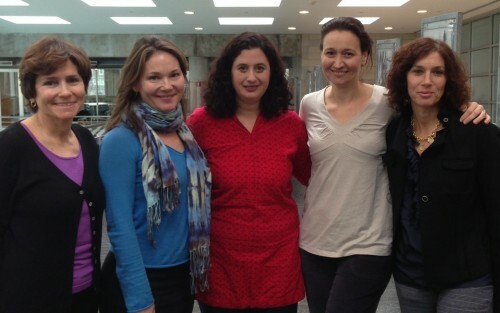 Driven by an urge to make a di fference in their children’s schools, the original five green moms created the pilot program unaware of how successful it would be. Or if it would work at all. But they never gave up on making a change, and their hard work has paid off. "We are thrilled that City officials recognized the success of our pilot and the potential to replicate it citywide,” said Maller. “We are proud to have been the model for the future citywide program." For more information on the pilot composting program, visit www.greenschoolsny.com. This article is part of a profile series EcoPlum is running for the entire month of May called Ecoplum Salutes Green Moms. Please submit your own story about a green mom who inspires you! Photos, Videos and short blurbs can be posted on our EcoClipz page. For longer stories, please send them to submissions@ecoplum.com. Looking forward to hearing from you!